Browns Bay Presbyterian Church Auckland, North Shore Presbyterian Church, Albany Church, Mairangi Bay Church, East Coast Bays Church, Torbay Church, Long Bay Church, Mainly Music, Mainly Music Browns Bay, Messy Church, Youth Group Browns Bay, Reformed Church Browns Bay. 7.00pm Tuesday Home Group at BBP In Recess untill 30 April Contact Sean for more information. 7.30pm Dave & Jeanna Sheppard's home group at the home of Dave & Jeanna Sheppard. 21 Ellangowan Rd, Waiake. 9.30am Prayer in meeting room 1. 10.00am Combined Service at the East Coast Bays Leisure Centre on Bute Road. Sunrise Communion Service This is on Browns Bay Beach on the grass area at the end of Anzac Road. We plan to start at 6.15am this year. Bring your own folding chairs and coffee/buns. 10.00am Morning Communion Service, and Children's Church followed by tea/coffee and fellowship. 10.00am Morning Worship Service and Children's Church followed by tea/coffee & fellowship. Click here for a run down of what we did, these where the planned events. 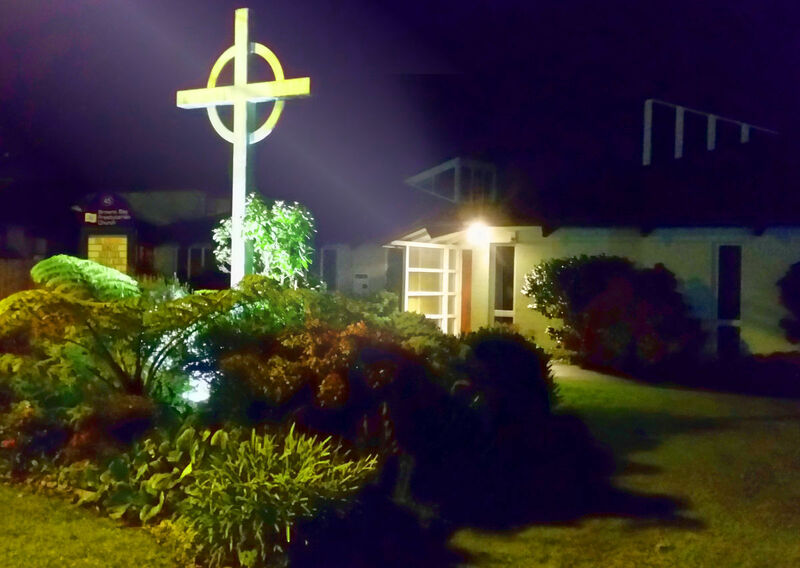 Browns Bay Presbyterian Church is having its Golden Jubilee In July 2015 a celebration services and events are planned for this Golden Jubilee. Watch this space! Christ Kid’s and Christ Tot's (Sunday Children's Programme): runs during the 10.00am service. Pastoral Care: Please contact the church office with any pastoral concerns. Mainly Music Meet in the Family Centre at 10.00am.